Athletics is an important part of any school’s curriculum – students often learn some of life’s most valuable lessons and skills while competing on the field of play. 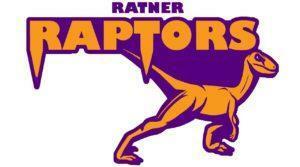 Ratner School students in grades 5 through 8 are eligible to participate in our interscholastic athletics program. Athletics offerings include soccer, basketball, and Ultimate Frisbee. Registration is now open for the Spring 2019 Varsity Ultimate Frisbee Team. Please fill out the form below to register, or use this link. Please see information below the form for Grades 4 and 5 Intramural Frisbee. All practice and games dates can be found on the website calendar, and also on TeamApp (see information below). NEW FOR GRADES 4 AND 5: INTRAMURAL FRISBEE! Led by Coach Dom, students will build their individual and team skills playing the game Ultimate Frisbee. Students will learn the game and play intramural matches each week. This is an opportunity to bond as a team, exercise, have fun, and develop skills that will be a great foundation for participation on the Varsity Frisbee team in the future (though that is not a requirement). All parents of Raptors athletes are required to use TeamApp. This simple online app makes it easy to find schedules, scores and other relevant team information, and is also the tool the coaches will use to communicate with parents.